Pro Fixed Nozzles for when accuracy is crucial. 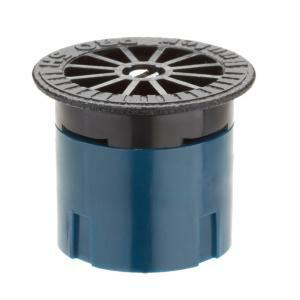 The sturdy construction, accuracy and outstanding performance of the Hunter Precision Distribution Control Pro Fixed Nozzle make it a popular choice with contractors. The reliability and accurate fixed-arc spray design are easy solutions to difficult landscapes. The Pro Fixed Nozzle will give uniform distribution from all sides whether you use the standard or any of the odd-angle nozzles. With larger than average water droplets you maximize coverage by reducing misting. Five color coded radius ranges available that can each be reduced by up to 25%. Every spray nozzles includes a filter. Pair with Pro-Spray® PRS30 pop-up for optimal performance and accurate pressure regulation of 30 PSI.